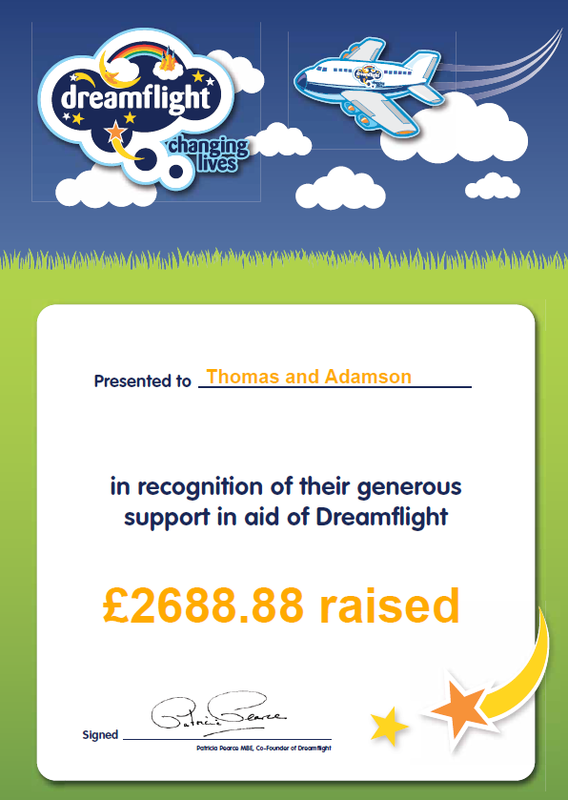 Thank you to everyone who donated to our charity partners for 2017/18, Dreamflight; we raised an amazing £2,688.88. 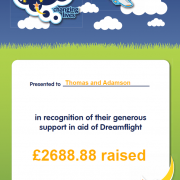 Dreamflight could not take place without the generosity of their fundraisers. £2,688.88 could pay for 19 children to swim with dolphins at Discovery Cove.